Communities can develop ‘biocultural protocols’ to set out their customary values, rights and rules about biocultural heritage. Doing this helps ensure their rights are recognised, even if those rights are not enforced by law, and strengthens negotiating capacity to promote more equitable agreements with third parties. The Convention on Biodiversity’s Nagoya Protocol, adopted in 2010, recognised the need to support the development of community protocols by indigenous and local communities to govern access and benefit-sharing for traditional knowledge associated with genetic resources. Biocultural protocols are also 'internal' governance tools to regulate equitable benefit-sharing amongst communities and reduce conflicts associated with ABS agreements. These aim to protect traditional knowledge and genetic resources by ensuring access by researchers or commercial users observes customary values and laws. Access protocols let communities establish their own rules for access, equitable benefit-sharing and the ‘free prior and informed consent’ required for research. They ensure that traditional authorities make the decisions on access, not individuals, lessening the risks of unfair exploitation. This protocol was developed by the Kuna people in Panama to regulate access to biodiversity, protect their intellectual property and ensure equitable benefit-sharing. It sets out the procedure for obtaining prior informed consent and the information the community requires. A proposal needs to be submitted to the Kuna General Congress, assessed by a technical committee and discussed with the authorities of the 49 Kuna communities. If approved, permission has to be obtained from the community and the knowledge holder, who can also allow or deny access. Using the biocultural heritage concept has helped the Kuna develop a protocol based on the community’s vision. Kuna customary law principles of equilibrium, reciprocity and solidarity have guided the protocol since these are the basis for all Kuna social cohesion. The Kuna are trying to get the protocol recognised as part of the national law on intellectual property protection for indigenous cultural expressions (Law 20). These aim to ensure equitable distribution of the benefits derived from use of collectively held biocultural resources amongst communities, which is important to help avoid conflicts. 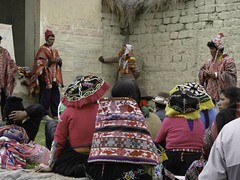 They also establish rules to ensure benefits are used in accordance with customary laws, so that they strengthen the biocultural heritage from which they are derived. 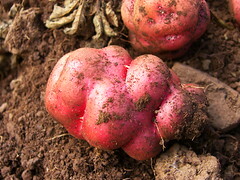 The six Quechua communities of the Andean Potato Park adopted an inter-community agreement for equitable benefit-sharing in 2009. This agreement is a biocultural protocol because it regulates benefit-sharing from the use biocultural heritage and is based on the customary laws that sustain this heritage. This protocol is already functioning in practice. It has guided the distribution of benefits from an agreement with the International Potato Centre for exchange of potato varieties and benefit-sharing, and from tourism activities and economic collectives in the park, through an Inter-community Fund. The protocol was developed through an in depth community research and negotiation process over 2-3 years. It is guided by three key Andean customary laws – reciprocity, duality and equilibrium. The communities identified which customary laws and practices should apply to benefit-sharing (eg. norms for distributing wealth). Those who are directly involved in the park activities receive most benefits as they contribute most to sustaining biocultural heritage. Some money is set aside as a safety net for people in need, such as widows and orphans. The protocol also strengthens collective rights. The communities agreed to maintain the free flow of resources and TK amongst them, and that the potatoes repatriated are the collective heritage of the six communities. Traditional knowledge and bio-genetic resources can only be exploited with the prior informed consent of the six communities. The development of the protocol has strengthened inter-community cohesion, identifying and addressing conflicts through the process. It has strengthened inter-community institutions and decision-making capacity, as well as customary laws. Communities can use biocultural protocols to secure access to bio-resources needed for livelihoods, by explaining their role in sustaining biodiversity and their close dependence on bio-resources. Example: Bushbuckbridge healers’ protocol, South Africa. This protocol was developed by a group of over 80 healers from two different language groups, who depend on the same plants. They set up the Bushbuckbridge Traditional Healers organisation. The protocol set out their values and roles in conservation and primary healthcare provision, and explained the threats to their livelihoods due to limited access to medicinal plants and overharvesting by others. It also appealed to the authorities for access to conservation areas. As a result of the protocol, and with support from the NGO Natural Justice and UNESCO, the healers were granted access to an area in the Bushbuckbridge Nature Reserve, a UNESCO biosphere reserve, to set up a medicinal plant nursery. The protocol also sets out requirements for prior informed consent for access to the healers’ knowledge. Bio-cultural Community Protocols enforce Biodiversity Benefits. A selection of cases and experiences. Endogenous Development Magazine. No.6, July 2010, COMPAS.